In this strange era we live in where children spend more time in front of screens than outdoors, fostering an interest in sport becomes increasingly important. Participation is of course crucial, but so is inspiration. That’s why we make a point of taking our children to watch sport quite regularly. 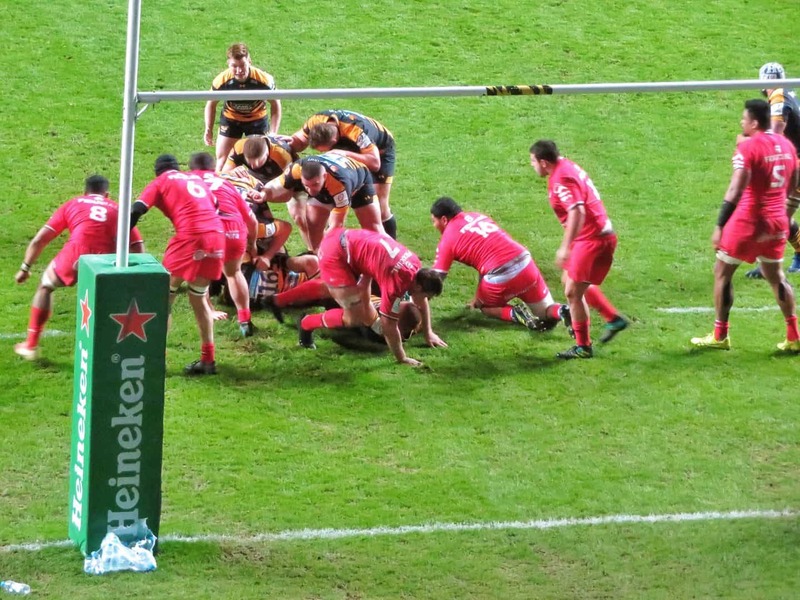 So this weekend, we were delighted to be invited to watch Wasps v Toulouse in the Heineken Cup at the Ricoh Arena. We arrived early at the game to collect our tickets and grab a drink in the Clubhouse before kick off. 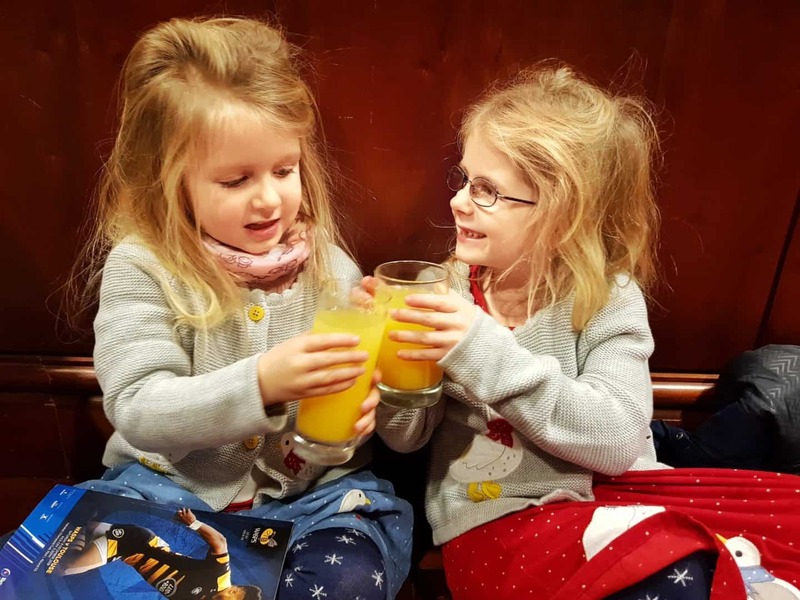 With rugby on the big screen and a room full of Wasps supporters, there was an exciting atmosphere that got the girls ready to watch the match. The clubhouse was quite full, so we hunted around for somewhere to sit. There were no seats free, but we went up some steps and sat down on the floor. Much to my husband’s delight and my horror, it wasn’t long before we realised that where we’d sat was in fact a stage. A Wasps player and ex-player were soon being interviewed and photographed, with us sitting directly behind them. I quickly moved myself and the girls out of the way whilst my husband sat there open-mouthed. The ex-player was Rob Howley, the Wales assistant coach. As a Wales fan, this was a dream come true for my husband, and I can only apologise to Rob for the gibbering idiot who insisted on having his photo taken with him after the interview. First, a confession. Whilst I’ve been to see Wasps play before (back when they were based in High Wycombe), none of us are natural Wasps fans. My husband supports Ospreys and the girls and I support Warriors. So before kick off, the girls put some thought into which team they were going to support. Being in the Wasps Clubhouse definitely influenced their decision, with both of them deciding to support Wasps. The Ricoh Arena is a huge stadium and the match wasn’t a sell out. Despite this, there was a great atmosphere with two drummers and the commentator whipping up the support of the crowd. Libby and Lia quickly got the hang of it and joined in with cheering for Wasps. 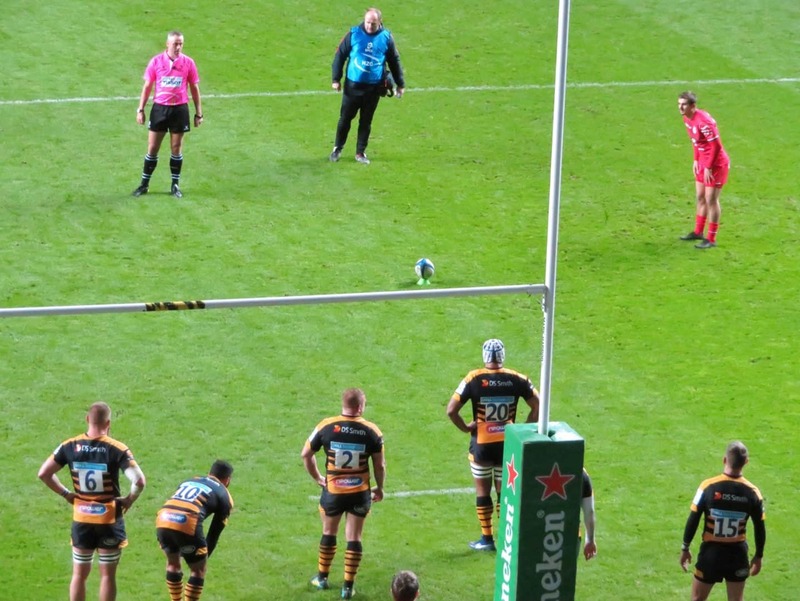 With two great teams on the pitch, the first half was close and ended 13-11 to Wasps. Unfortunately, their lead didn’t last long into the second half. A Toulouse penalty quickly took them ahead, which they then followed with a try and conversion. We were all hoping for a Wasps comeback, but it wasn’t to be. The match ended 24-16 to Toulouse. 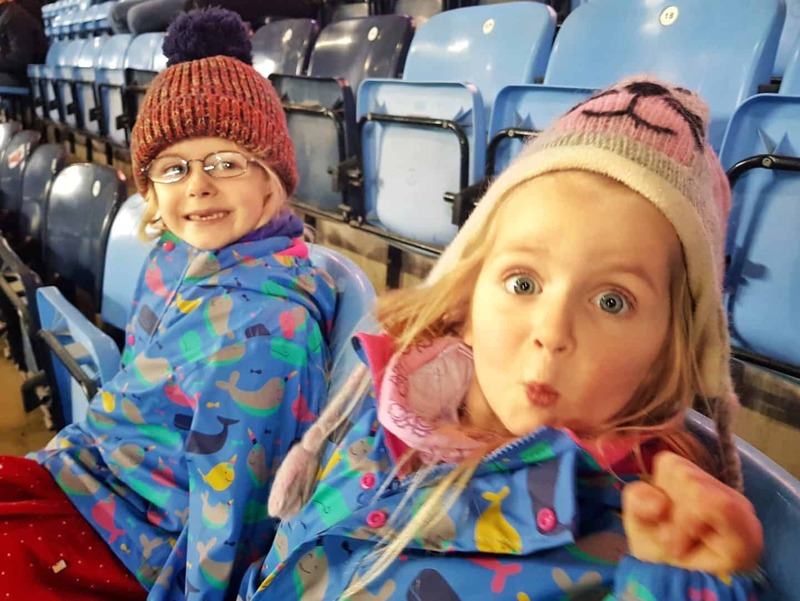 Why take children to watch a rugby match? Whatever team you support or live near to, I’d highly recommend taking children to watch a match. The atmosphere in the ground is always positive, even when the home team isn’t winning. Rival fans inevitably take the game in good spirits, even when it doesn’t go their way. I see this sportsmanship both on and off the pitch as a valuable lesson for children. Additionally, it gives them an understanding as to why sport is so much fun. Both girls came away asking to play rugby, as well as wanting to watch it again. Large grounds like the Ricoh Arena often sell tickets relatively cheaply, since they don’t sell out. Last week, they were selling tickets half price, making it a relatively inexpensive family day out. 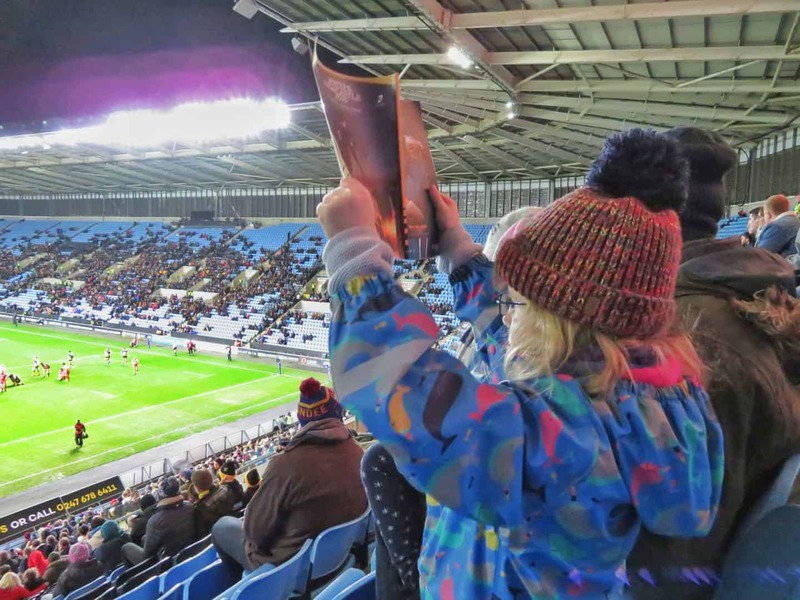 Please note, we were invited to attend Wasps v Toulouse at Ricoh Arena free of charge. All views, opinions and temporary Wasps fans are my own. It does sound like a great day out. I had to laugh at you all accidentally sat on the stage! Despite watching my son play rugby for so many years, I still don’t really understand the game! I’ve never been to a professional game, but the menfolk have been to a handful of them. We’re a family of football supporters and the kids go to at least one Man Utd game a season, my husband goes to two or three Man Utd games, plus two or three England games. Oh I honestly think you’d enjoy a rugby game, the atmosphere is so good you can’t help but get swept away with it and find it exciting!